Does Your Time Perspective Affect Your Health? How we view reality is subjective. Just ask your parents or siblings how they remember certain events in the past. You will find that everyone remembers these events very differently. Studies on eye witness testimonies have shown that most memories are false. This is why lawyers are not allowed to “lead the witness” while questioning them. Hinting or suggesting certain view points can lead someone to remember something completely differently, greatly skewing the real truth. We all wear tinted colored glasses that shade our world in a way only we can see. Modern psychology has examined how these attitudes can promote success or lead to failure. 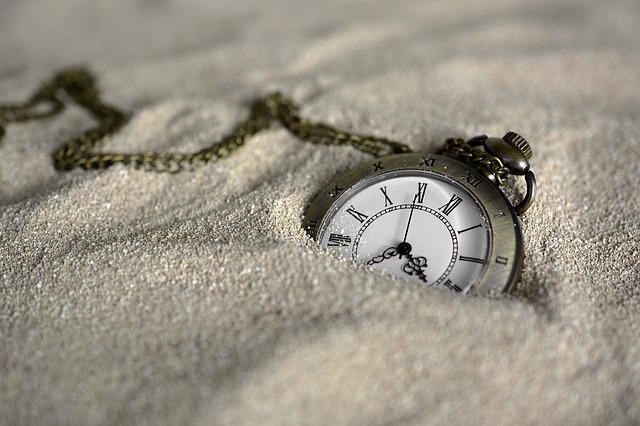 Experts on Time psychology (such as, Philip Zimbardo, Ph.D and John Boyd, Ph.D, authors of “The Time Paradox”) study and break down our relationship with time. They say that time is money as we are often paid for our time but I think that time is priceless and have always struggled with my relationship with it. We all only have a limited amount of time in a day and how we spend that time is so crucial. Yet no one really knows how much time we have in a life. I could die tomorrow in an accident or many years from now. This mystery just makes time even more valuable. I think that’s why I enjoyed reading “The Time Paradox” so much. Much can be said about how we view the Past, Present and Future. As stated before, we can’t always trust our memories to give us an objective reality about what really happened in the past. There are many sides to one story and our side is highly influenced by our attitudes. Some people believe in a golden age, when life was innocent and simpler. Other people say our history is full of horrors and we are living in the best times ever. Yet, how we see the past can directly affect our success in the future. if we are constantly focusing on our failures and disappointments, we have created a general attitude that we are losers. If this is so, we will go about our lives with a chip on our shoulder, not expecting success and always expecting failure. We could be sabotaging ourselves without even knowing it. In contrast, if we focus on our little successes, we have proven to ourselves that we are capable and will have a more positive attitude towards our endeavors. Studies have shown that the act of rumination, of constantly thinking about the negative aspects of the past can lead to depression and other chronic diseases that stem from emotional stress such as heart disease. Being depressed will cause us to try less, to take less risks and to attract more disappointments and failures. If we don’t change how we think about our past, we become trapped in this cycle. Past positive approach: I didn’t reach my goal of losing 10 lbs in one month but that’s because I cheated by eating a few cookies. I did lose 7 lbs. That’s a huge success! I’ve never lost 7 lbs before. I just have to keep at it and I’m certain to reach my goals soon. Better not miss my muscle pump class. These examples show two different ways of looking at the same exact situation. Which mindset do you think will lead to success? We can find happiness focusing on all the good times, or we can wallow in depression by ruminating over the bad. There are three major ways of viewing our present situation; Present Fatalistic, Present Hedonistic and Holistic present. Present Fatalistic people have a deterministic attitude towards life. They don’t believe anything they do now could change future outcomes. This is common in people who come from backgrounds of poverty, little opportunity and insecurity. The attitude goes something like this: “What’s the point of trying? I’m going to die anyway,” or “I’ve always been poor. That will never change.” Such attitudes sabotage us from making pro active decisions in our lives. So if you are overweight or come from a family of overweight people with chronic health conditions, there is little you will do to change this situation because you have little belief in your ability to make a difference. Present Hedonistic people love to live in the moment and think little of future consequences. They are usually the life of the party, encouraging everyone to give in to their indulgences, which can be great for you’re health if your enjoying a Zumba class or a nice outdoor run. But this attitude may also lead to more drinking alcohol, smoking, recreational drugs or emotional eating with little thought of how this behavior will effect the future. Present hedonists tend to gamble more and be more promiscuous. The positive of this approach to time is that present hedonists tend to have more fun. The negative is that their inability to consider future consequences can still lead to health problems, addiction and failure to commit and follow through due to lack of planning. The Holistic Present approach is living in the utmost present, the way we do when meditating or writing poetry. Buddhism and many other philosophies have preached the beauty, peace and serenity of living in this state. It’s also known as “mindfulness”. Many who reach this state even say that time becomes an illusion and the mental disorders that come with negative viewpoints of time drift away. This is the state we are in when we are meditating, enjoying a sunset, painting or writing a poem or completely focusing our mind on the task at hand. We see time as one holistic whole and live in one-ness with our place in the grand scheme of things. We let go of the pain of the past, the addictions of the present and the demands of the future. It’s a very clear and calming place to be. If we take the time to reach this state on a regular basis, it can have many positive affects on our mental and physical well being. Do you plan for the future? People who create goals for themselves are more likely to do well in school, be on time, succeed in losing weight and be financially well off. They save their money, plan their meals and workouts, do the work needed to finish future projects and tend to be more successful in all aspects of life. They know how to delay gratification, often choosing to make present sacrifices so they can be more successful in the future. The negative of always living for the future is becoming so engrossed in what needs to be done tomorrow that we forget to enjoy today. Relationships might struggle due to lack of spending that quality time with those we love. This perspective can also lead to a type A personality, someone who is always worried about getting things done, always planning to fill the calendar and finding that we never have free time to live in the moment. This can lead to fear of not living up to expectations and such stress contributes significantly to cardiovascular disease. Feelings of anger and fear have been known to harden the arteries more than a high fat diet. So one must strike a balance between planning for the future and living in the present. Since people who plan for the future, are good problem solvers, they can easily fix the negatives by planning their schedules to include fun time for themselves and their loved ones. In Conclusion, we all have very different relationships with time and taking a moment to examine how we relate to it can help us with our health, our finances and relationships. Do you dwell on negative memories of the past and find it hard to forgive? If so, you could be setting yourself up for failure. Try taking some time to focus on fond memories and past successes and see how this can shift your attitude and positively change your outlook. Do you believe that the choices you make in the present have some sway over your future? If not, then you are probably letting your environment decide the life you should be living rather than living the life you choose to live. Do you over indulge in the present moment, giving little thought of what you say or do can effect your future? Such impulsive behavior could interfere with future success. Are you so focused on ambition and future outcomes, that you have become a big ball of stress and have forgotten how to relax, smell the flowers and make time with your loved ones? This can lead to frustration which can greatly affect your health. Therefore, taking the time to contemplate your time perspectives and learning to balance how you view your past, present and future can help you positively change your life and your health. “You can choose how to reconstruct the past, interpret the present, and construct the future. You can choose to remember a wonderful glass of wine that you had yesterday, and forget the special bottle of wine that you spilled last week. Today you can choose to see the glass as half full and savor its flavor. And you can choose to expect the glass to be completely full tomorrow. In so doing , you make the most of your time by choosing happiness over despair, joy over heartbreak, and pleasure over pain.